Last update of the week! Today we are pleased to bring our the newest series on Rewards Canada: Ultimate Credit Card Portfolios! This series will look at the ultimate three card wallet (1 Visa, 1 MasterCard, 1 Amex) for a variety of loyalty programs, spending habits, travel habits and more. The first porfolio in the series is for the program most popular on Rewards Canada and for most Canadian travellers, Aeroplan. You can find the Ultimate Aeroplan Credit Portfolio here and we have also developed a table of contents/index page for the Ultimate Credit Card Portfolios which can found here. Flashback Friday! 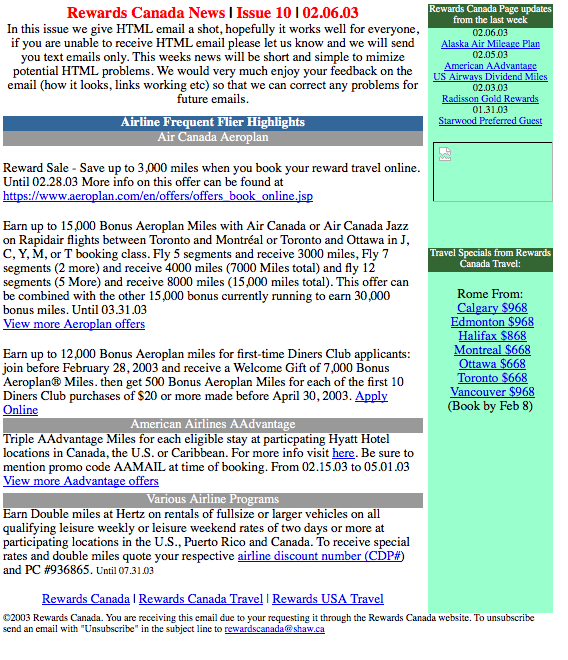 13 years ago we sent out our first HTML email newsletter! This was the 10th issue of Rewards Canada News that was sent out on February 6, 2003!! It didn't have too much for content but it was definitely Aeroplan heavy! 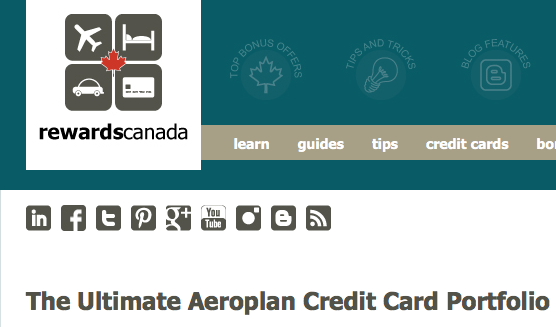 12,000 Aeroplan Miles for getting the Diners Club card as well as an Aeroplan award ticket sale saving 3,000 miles (when was the last time we saw one of those!!) Wow have times changed since then!